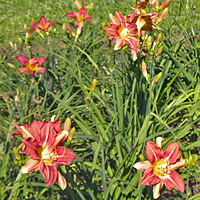 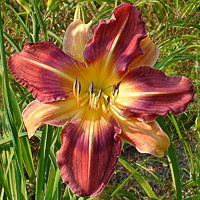 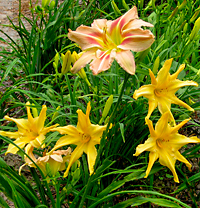 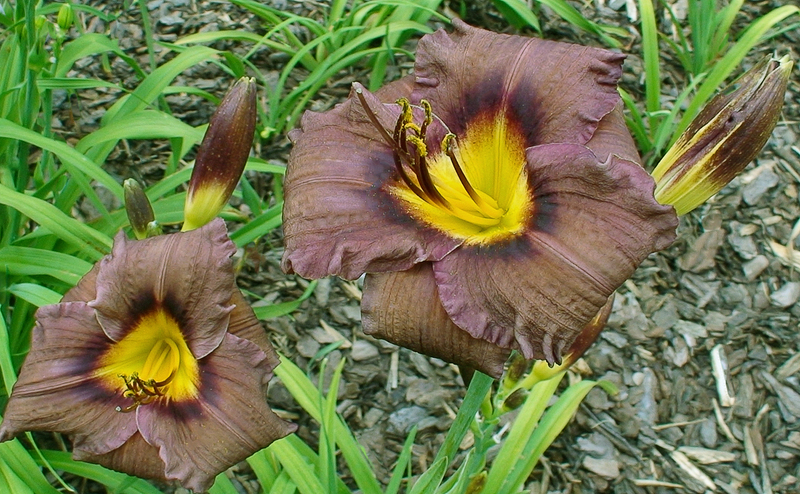 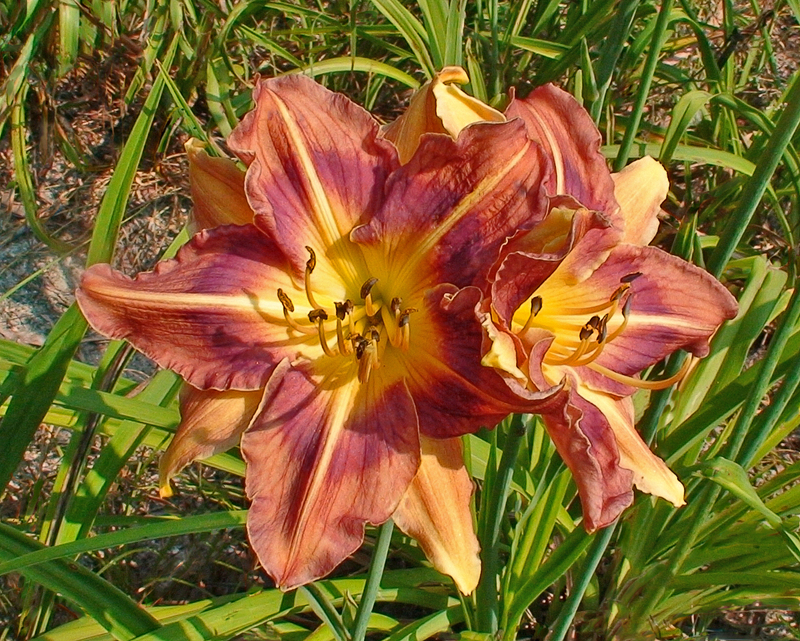 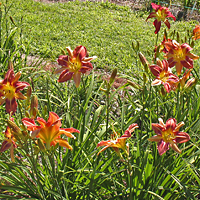 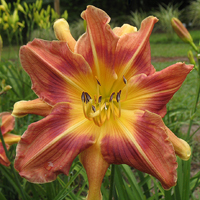 Hemerocallis ‘I Have Issues’ is an over 75% polymerous 2006 introduction. 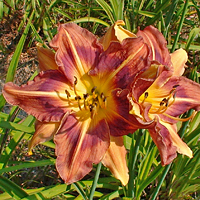 H. 'I Have Issues' is registered as 75% polymerous, however, its polymerous nature is closer to 90%. 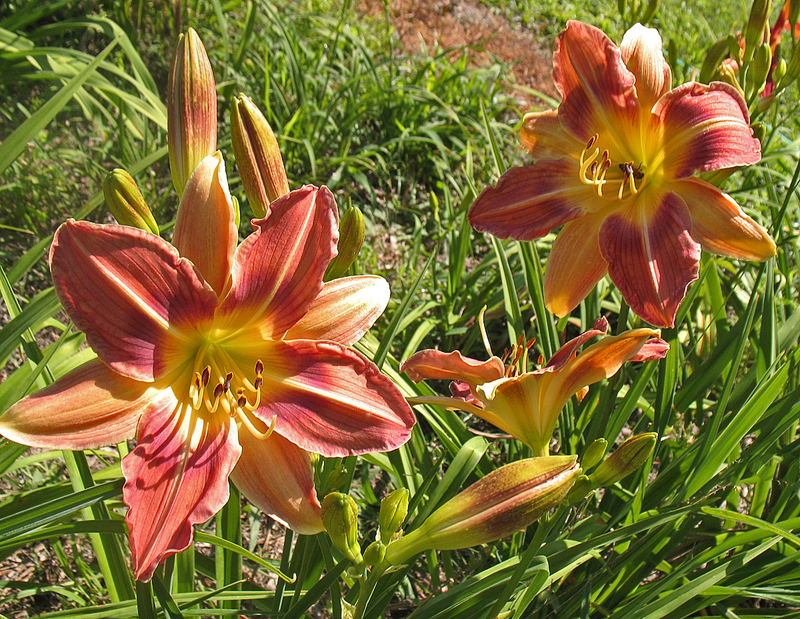 The 5½" blooms sit atop 33" scapes that are typically 4-way branched with 25 buds. 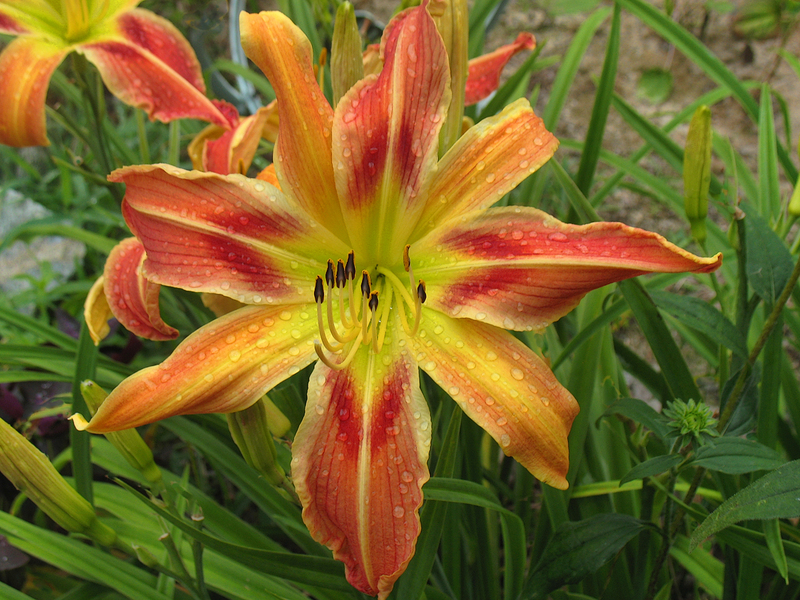 H. 'I Have Issues' is a hard dormant and is usually the last plant to emerge in the spring. 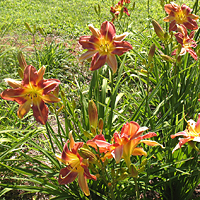 But once it breaks dormancy, it grows extremely fast and blooms in the mid season. 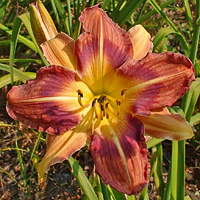 H. 'I Have Issues' is a raspberry haze cream pink shaded bicolor with electric raspberry purple band and cream midrib. 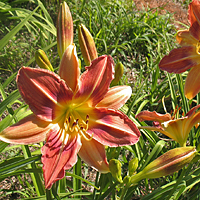 It is a repeat bloomer with fragrance. 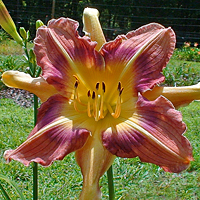 Hybridizers should know that it is pod and pollen fertile. 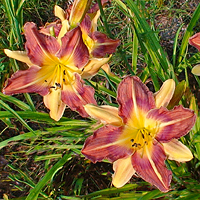 The parentage is H. 'Resistance Is Futile' × H. 'Dempsey Foursome'. 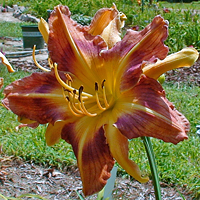 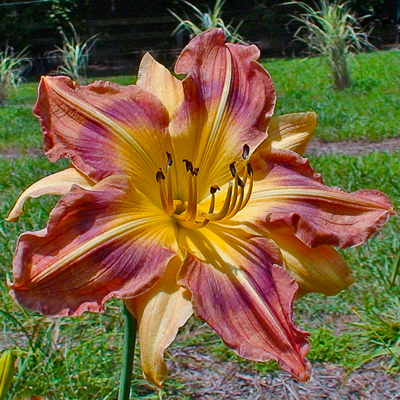 At the 2006 American Hemerocallis Society National Convention H. 'I Have Issues' sold for $365.00 during the auction.